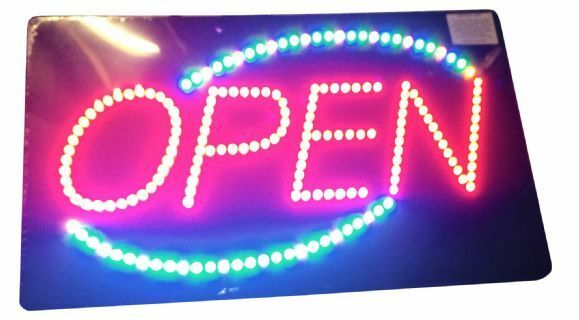 New to our range premium OPEN LED sign with multi coloured LED's. Option to have flashing or static. Very light weight and super thin at only 17mm thick. Awesome build quality and unsurpassed reliability. Dimensions (HxWxD): 350mm x 580mm x 17mm.